What sets the Sometimes Family apart from other groups in this new soul era is their aim to bring back the vocally driven tune, the collaborative, harmonic group sound. Drawing inspiration from a variety of soul sources, including the Fifth Dimension, the Staples Singers, the Jackson 5 and the Friends of Distinction, their songs are written with the whole family in mind. 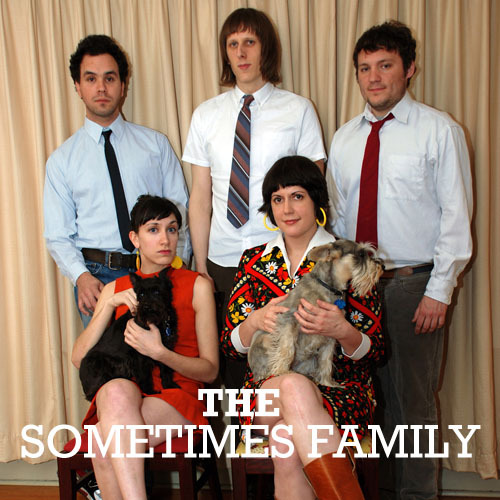 The Sometimes Family fuses a bluesy, soulful language with vocally driven melodies. Bass and drum grooves, rhythmic organ, and sweet flute lines seal the deal to an incredible listening experience. This Chicago soul band tickles your limbs and sets them in motion.